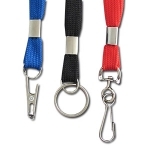 Shop for retractable badge holders & ID lanyard products you'll love to wear! 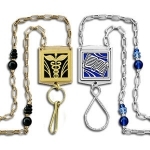 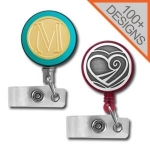 Express yourself with cool custom badge holders, artistic beaded neck lanyards, & decorative retractable key reels personalized with unique designs and colors. 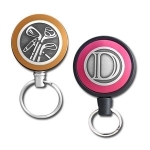 Not sure which type to choose? 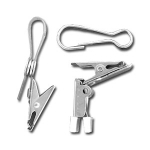 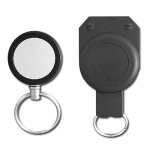 See Find the Best ID Badge Holder for Your Style to compare clips, cords, weights, shapes, and reels. 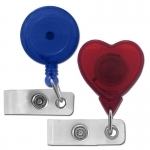 Find low bulk prices, no minimum order & fast shipping on classic metal or plastic badge holder reels, lanyard cords and parts. 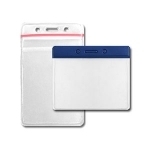 With our great selection you can easily buy everything you need to add color and design to make your work day more fun.